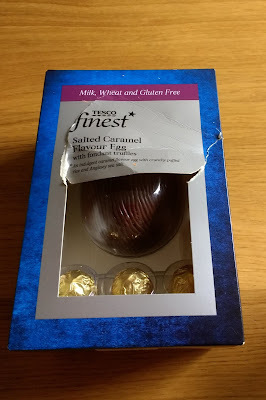 I do also have some Easter specific chocolate. 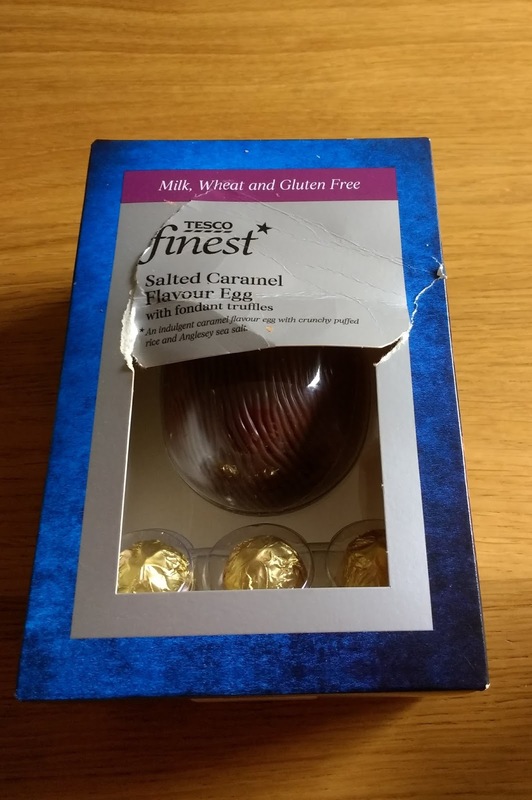 I picked up a Tesco, vegan friendly 'salted caramel flavour egg' with accompanying truffle chocolates. It looks like I've been beating the box up, but that was Mini Bite. She doesn't know about chocolate yet but is interested in most packaging. Tesco also provided mini, accidentally vegan chocolate chip hot cross buns. They're a hit with me and Mr Bite. In case we didn't have enough chocolate floating around, I made a chocolate cake over the Easter weekend. The recipe came from My Kitchen Stories, which is not a vegan blog, but this cake is so good that non-vegans will love it too. I was attracted to the recipe because the icing is made with sweet potato and melted chocolate - that's it - and the cake itself is also simple to mix up. Mr Bite doesn't like sweet potato in its usual form, so I was delighted that he gave this cake a tick of approval and praised the icing in particular. We've eaten nearly half the cake between us now! Moving on from chocolate, visible from my kitchen is a wicker bunny complete with flower pot. Mini Bite loves him, and I am rather taken with him myself. Marks and Spencer continue to expand their vegetarian and vegan range and recently introduced two flavours of vegan-friendly fruit/nut truffle balls. I couldn't justify buying the carrot variety but as I rarely make things with beetroot, I tried out the beetroot and berry pack. The ingredient list for these features coconut and the beetroot is in dried form, which interested me. 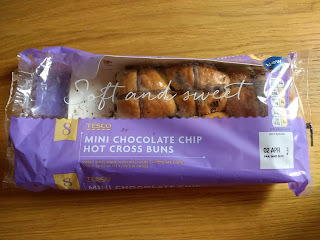 They were tasty, albeit quite sweet, and reminded me overwhelmingly of the small dried fruit balls available in my primary school canteen. Despite entering spring, our fruit bowl continues to feature winter fruits, primarily apples and mandarins. Mini Bite is mandarin obsessed and would help herself to many across the day if she could, so sometimes the fruit bowl is covered with newspapers to avoid a mandarin overdose! To liven up the fruit situation, raspberries and blueberries remain on high rotation too. Last but not least, our kitchen continues to see the carrot and red lentil soup I shared last month. We all love it. My Mum also made it over the weekend so it has travelled the miles from England to Australia - quite a nice thought. Lots of good things in your kitchen. That bunny wicker is just adorable. I like the sound of the ganache on that cake and as you know we like our sweet potato. I haven't been near a M&S for a month or so, so will check out these beet balls tomorrow when I go into town to see a friend for coffee. I do however have a recipe bookmarked for beet balls by The Kitchen Maid that i have not got round to making. You can't get too much chocolate! 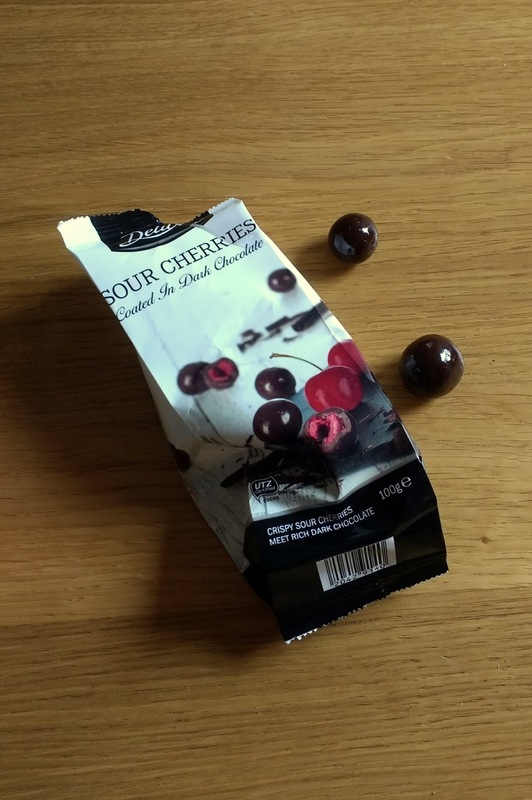 I love dried cherries coated with dark chocolate, as you mentioned. I also liked the old-style cherry cordials that would squirt liquid at you if you bit them wrong. Nice kitchen things this month! Thanks Mae! I don't know those old-style cherry cordials?! It's great that Mini Bite loves fruit. The windowsill bunny is very cute. you've definitely given me chocolate envy this month - but at least I've got fruit envy too, so it's a balanced diet! that's an impressive balance between chocolate and fruit - we are mostly out of chocolate after easter but still have the baking itch. I love Mini Bite's contribution to the packaging - I think Sylvia still love packaging! I guess we've got a few years of beaten up boxes then! 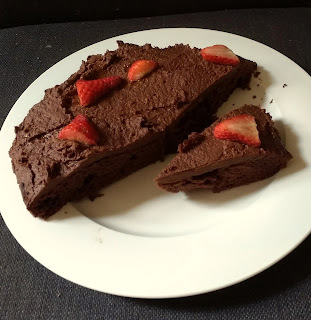 That chocolate cake looks delicious - I'm super keen to try doing some more vegan baking. It looks like your selection of vegan chocolate is much better than I've seen here in Australia. Ooh so much chocolate, I love it! Those sour cherry ones look so good! I'll have to check out that chocolate cake! Definitely well supplied with chocolate! What a lot of chocolate in your home!!! My husband adores it and would be very envious. I have to keep a jar fully stocked at all times, some of your picks would fit right in.